Acura is introducing something new for the 2018 model year: the Acura TLX V6 A-Spec. 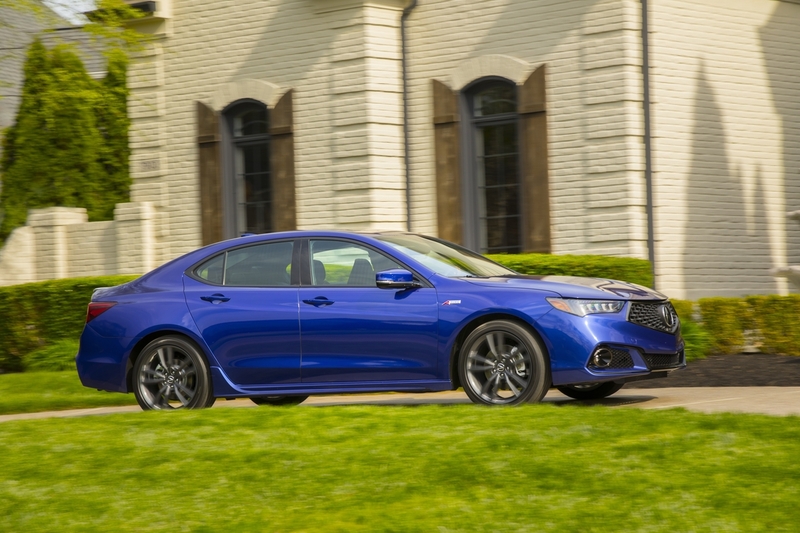 It's the highest trim level for the TLX and comes with exclusive features like bigger wheels and wider tires, ventilated front seats, and remote engine start. The A-Spec doesn't gain anything in the performance department over the next lowest trim level, but does it really need to? One interesting feature available on this car is the Precision All-Wheel Steer™ system. It automatically adjusts rear toe angle to help with low-speed maneuverability and high-speed stability. The TLX V6 comes in both front- and all-wheel-drive guises, and the all-wheel steering is only available with the front-drive layout. Our test car, however, had all-wheel drive. A 3 Series fighter from Acura? Yeah, you read that correctly. Acura’s new TLX A-Spec is aimed squarely at the top dogs of the “Entry Premium Segment,” namely the BMW 330i and the Mercedes-Benz C300. That begs the question: Is it better than the segment’s default choices? I spent a few days in Los Angeles driving the new TLX A-Spec, splitting my time between stop-and-go traffic and winding canyon roads. Then, to make sure I’d gotten my money’s worth before my flight home, I took it to a track day at the Streets of Willow Springs. And in summary, I think Acura’s built a better BMW for 95% of the average entry premium segment’s driving. So, what’s Acura’s plan to dethrone the standard premium sedans? Simple: More of everything for about the same price. Sure, the four-cylinder TLX is cheaper than its competitors, but the loaded AWD V6 A-Spec costs about the same ($45,800) as a similarly equipped 330i, A4, C300, or Q50. In return, it offers more power (290 horsepower and 267 ft.-lbs. ), your choice of all-wheel-drive or four-wheel-steering, and more technology. Plus, there’s Honda reliability. Does that mean anything anymore? I have no idea, but I felt weirdly compelled to add that sentence to my review, which probably means most buyers still believe in it, too. So, what’s the TLX like to drive? In city traffic, on the highway, parking, and generally just being a car, it’s awesome. Perfect. Really just a nice total package. The infotainment system rocks, CarPlay works perfectly, it has plenty of power to spurt through traffic, it has fairly decent visibility, and it’s real comfortable. It comes standard with an armada of driver aids. Dare I say it, but I actually think Acura may have beaten BMW on the interior front. It’s nice and quiet inside, too–something that’s often forgotten when pedestrian car manufacturers try to fight the Germans (I’m looking at you, Infiniti.) Plus, it looks good. Did I mention it’s spacious and has a huge trunk, too? After a day of meetings in town, I typed Angeles Forest Highway into the nav system and expected the car to fall apart–there’s no way a big, heavy Acura could be fun on a canyon road, right? Well, I was wrong. It was a joy to carve through the corners, with plenty of power at hand to pass slower cars and steering that was… dare I say it… communicative, a nice surprise these days. I blasted through those canyons with the sunroof open, the radio blaring, and the torque-vectoring AWD doing an eerily good job of making the TLX exit corners like something much more rear-wheel-drive. Then, I arrived at the Streets of Willow, borrowed some blue tape to make numbers, and rolled onto grid amongst a bunch of track-prepped Miatas and BMWs. Time to humiliate myself, I figured. Somehow, I didn’t. Not for the first lap, anyway. The TLX was soft and under-tired for what I was putting it through, but the big V6 and clever computer magic meant I was keeping up with cars I really had no business following. Then lap two rolled around, and I had no brakes. 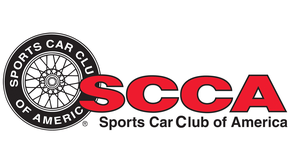 Seriously–two laps and they were gone. The TLX A-Spec has lots of clever digital ways to mask its enormous weight, but its brakes, the same as those found on more-pedestrian TLXs, just aren’t up to track duty. I parked it in the paddock with smoke literally billowing out from the front wheels, then felt bad and hopped back in to do some cool-down driving. As I drove the TLX back to the airport, I reached a verdict: This is a really, really good car for most of the people driving a 3 Series or Mercedes C-class, the people that have never been to BimmerWorld’s website or had to choose between their daily and their Miata for the track day next weekend. In traffic, in parking lots, and through the canyons, the Acura is a great car, one that has just enough sporting pretense to be fun on the street, but not enough to be real expensive, and not enough to make any compromises to daily driving manners. It’s not a dual-duty car. It’s an Acura, and a darn good one at that. Would I buy one? If I was shopping in this segment, absolutely. I even like the extra A-Spec badges. After Tom had a TLX A-Spec out in Southern California, I drove a car configured the same way here home in Florida. This one turned more heads that I expected. A dude in a regular issue TLX gave me a thumbs-up on I-4. A lady parked next to me yelled, “Nice car!” My friend said that it looked cool. Are people again thinking that cars are more than just things to get us from Point A to Point B? Let us hope. Maybe it was the Night Blue Pearl paint. Bigger picture, yeah, it was nice to drive. Great torque. Great seats. Nice, throaty exhaust, although Acura could dial it up by 10 percent and I’d be even happier. You can hear it lurking. Let it out to play. 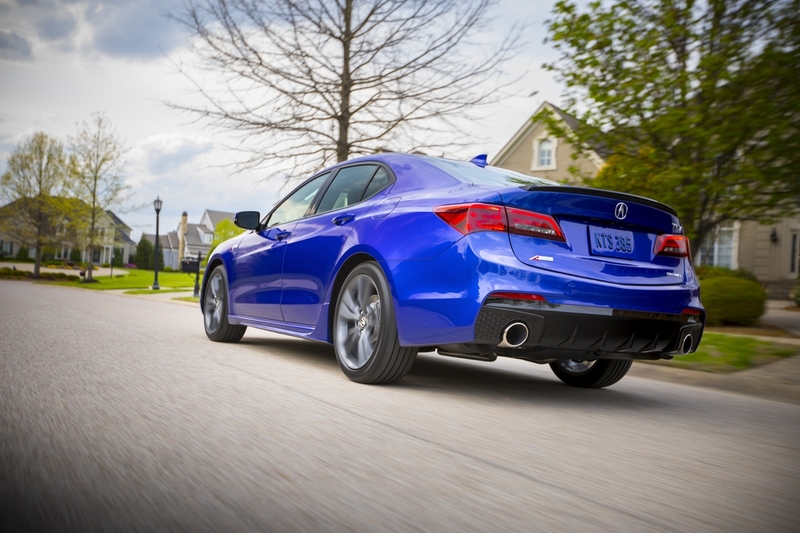 I’d love to try the eight-speed, twin-clutch transmission, but that one is only available in the four-cylinder TLX. Instead we had a nine-speed—yes, nine of them—automatic. I didn't track it, but around town I was happy with the automatic. It shifted well. Nice, crisp shifts. It listened to the flappy paddles, too. You can manually shift it or just leave it in D. I was happy either way. We also drove this one to iron Maiden’s Tampa show. Sadly, though, we didn’t get to show the car to them. I’m sure that at least Janick would have dug it. The navigation system seemed slow to use, though. I know, sounds like a nitpick, but the system just seemed laggy to recognize inputs. My stick-on-the-windshield Garmin doesn’t do that. Also, this has two—yes, two—screens in the dashboard. Just noting that fact. I’m also not a big fan of the shift selection buttons. I know that everyone’s trying to be different here, but this one just seemed gimmicky. I loved the old-fashioned stick and am warming up to the knob found in some cars. The buttons just aren’t my thing. And yet, it STILL has the ugliest face this side of Gene Simmons. Trackmouse wrote: And yet, it STILL has the ugliest face this side of Gene Simmons. It's not classically handsome, but it doesn't hold a candle to the blazing ugliness coming out of Toyota / Lexus, or Nissan, these days. This thread is relevant to my interests as we begin to shop for a replacement for DW's beloved TSX. I suspect we'll find more value elsewhere, though. This piques my curiosity. The original A-Spec packages were all dealer add on bits (ground effects, wheels/tires, suspension and badges) that actually gave them more grip to go along with the aggressive looks. This looks like an actual factory built trim level instead. Yes, A-Spec is now a factory thing. I was at some of the early press introductions for the A-Spec dealer-installed parts. Fun events. David S. Wallens wrote: Yes, A-Spec is now a factory thing. I was at some of the early press introductions for the A-Spec dealer-installed parts. Fun events. I sold a bunch of them, that's for sure. Should have come with a sport exhaust or something like that - something that makes it more than just an appearance package. Maybe option for OE Summer-only tires.